Protect your health and that of your loved ones by being aware of health and safety precautions for flood recovery. 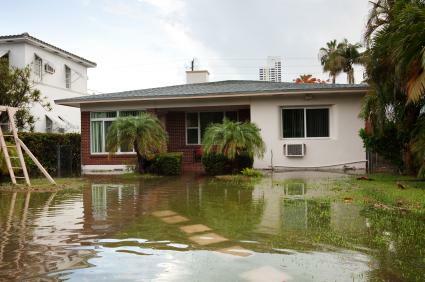 Many of the dangers that exist after a flood have the potential of causing serious illnesses or injuries, and others can even result in death. If your home or business was affected by a flood, would you know how to stay safe during the recovery process? Many people are unsure about the precautions they must take to protect their health and safety during this critical time. The following tips, recommended by the CDC (Centers for Disease Control and Prevention), will help you know what to do following a flood. If your power is out keep the doors on your refrigerator and freezer closed as much as possible. Local authorities generally notify the residents of their area as to whether or not the tap water is safe for drinking, cooking or bathing. If the local water supply is not safe, the authorities will provide instructions on how to purify it properly by disinfecting or boiling it. Bringing the water to a boil and keeping it at a rolling boil for 60 - 70 seconds. Add 1/8 teaspoon of household liquid bleach for each gallon of water. The liquid bleach should be unscented, newly purchased and in a freshly-opened container. Stir the bleach into the water very well and allow it to stand for ½ hour before using it. Add water purifying tablets to the water according to the manufacturer's directions. Getting your home or business cleaned up and dried out as soon as possible after a flood is important to prevent mold growth. It is best to do this within the first 48 hours after the flood, if possible. Open all of the windows and doors. Use fans if available to hasten the drying out process. Clean wet surfaces and items with detergent and water to prevent the growth of mold. If mold is already present, use one cup of bleach to a gallon of water and wash the areas. Make sure to wear rubber gloves and open all of the windows and doors before using the bleach solution. Throw away everything that does not dry quickly, such as carpets and upholstered furniture. If there are any leaks from the plumbing, roof or walls repair them as soon as possible. Practice good personal hygiene and wash your hands often. Treat any open cuts and wounds right away by washing with clean water and soap. Use an antibiotic cream or ointment and cover with a bandage. Never touch a downed electrical wire. Call the power company immediately. Do not enter buildings that are unstable or damaged. If you are without electrical power, do not use any type of generator or cooking grill inside the house or any other enclosed area. When you are near standing flood water, wear long pants, a long sleeved shirt and socks to prevent bites from mosquitoes. Apply insect repellent often. Wear waterproof boots and gloves to keep the flood water from touching your skin. Never mix ammonia and bleach when cleaning. This solution creates toxic fumes. Being aware of health and safety precautions for flood recovery helps ensure that you and your loved ones do not become sick or hurt after returning to your flood-ravaged property. The time during the aftermath of a flood is very difficult. If during that time you have questions or concerns regarding sanitation procedures, food safety or the safety of your water supply contact your local Department of Health and Services.